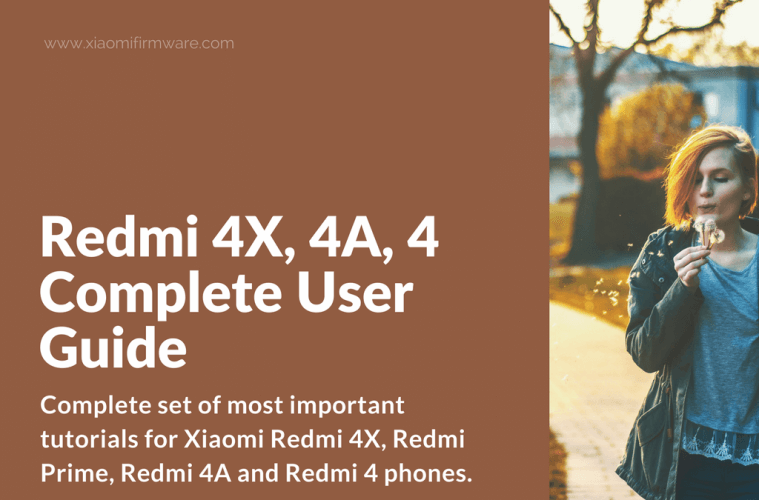 Here you’ll find the complete set of most important tutorials for Xiaomi Redmi 4X, Redmi Prime, Redmi 4A and Redmi 4 phones. Basically all these guides, except flashing with MiFlash, require unlocked bootloader. Also check out this post to find all drivers for Redmi 4X device. Before unlocking your Redmi 4X / 4A / 4 device you’ll need to request official unlock permission. Sign into your Mi-Account – “Setting” > “Mi Account”. Start your device in fastboot mode (turn off, press and hold “Power” and “Volume down” button, after short vibration signal release the “power” button and wait for the fastboot logo to appear. Download Mi Unlock tool (check out Redmi 4X drivers post). Unpack downloaded archive into new folder on your PC or laptop. Start Mi Unlock and press “Agree” to continue. Enter your Mi Account credentials and click on “Sign In” button. You should use the same account you’ve previously signed in on your phone! Wait until you see a “Unlocked successful” message. Now press “Reboot phone” and wait until your device reboots in system. 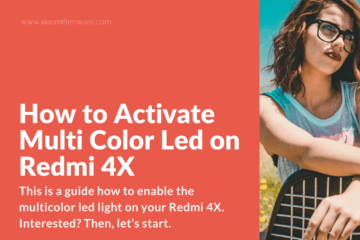 How to check Redmi 4X bootloader lock state? Download Platform-tools (adb/fastboot) and unpack downloaded archive into new folder on your PC or laptop. Start your device in fastboot mode (turn off, press and hold “Power” and “Volume down” button, after short vibration signal release the “power” button and wait for the fastboot logo to appear. Connect your phone to PC or laptop. Open the folder with adb/fastboot files, hold “Shift” button and right click on the empty space, select “Open command window here”. Disable disable driver signature enforcement (read more here). Download MiFlash (Redmi 4X drivers & Tools) and install. Confirm drivers installation! 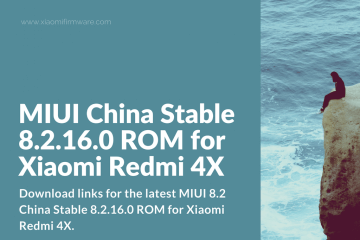 Download Redmi 4X MIUI ROM for MiFlash / fastboot and unpack downloaded ROM into “C:\rom” folder. Open MiFlash and select folder with unpacked ROM files. In MiFlash select “Flash all” or “clean all” option. Boot your device in EDL / Download mode. Let Windows install all drivers. In “Device Manager” your device should be found in “Ports (COM & LPT)” and recognized as Qualcomm HS-USB QDLoader 9008 (COMX). In case you see Relink HS-USB QDLoader 9008 (COMX) device, then manually delete this drivers and reconnect your device in EDL / Download mode (first turn on your device by holding “Power” button until vibration signal). In case it doesn’t help, right click on device in “Device Manager” > “Update drivers” > “Search for drivers on this PC” > “Select from installed drivers” > “Qualcomm HS-USB QDLoader 9008 (COMX)”. In MiFlash press “Refresh”. In “Device” tab you should see the same COM port number as in “Device manager”. Press “Flash” button and wait until installation process is completed. Usually it takes around 5 minutes. In case of error you may try different version of MiFlash. If it doesn’t help either, then try connecting your device to another USB port and use another PC if possible. Download 8.0.3.0 MIUI ROM Recovery / System and copy to phone root memory. Open the “Updater” app, tap on “three dots” icon and select copied ROM .zip archive. If you’ve stuck with verification errors try renaming the file to update.zip. All data and personal settings will be deleted! Confirm with terms and wait for the system to start. Turn off your device, press “Power” and “Volume Up” buttons, after vibration release the “Power” button. In the menu select “download”. Hold both volume buttons and connect your device to PC. After vibration signal, release volume buttons. Nothing should appear on the screen after vibration. If your device just reboots, try turning off your device, then connect it to PC while pressing both volume buttons at the same time. After vibration release both buttons. 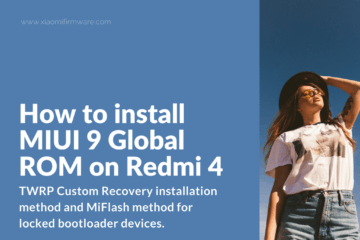 Download Redmi 4X MIUI ROM for MiFlash / fastboot and unpack to the folder with adb/fastboot. In the folder with the adb/fastboot files, run flash_all.bat, wait until device reboots and then disconnect from PC. Download TWRP for Redmi 4A and unpack downloaded archive into folder with adb/fastboot files. In downloaded archive replace twrp.img with TWRP version for your device. In the folder with adb/fastboot files, start “flash_twrp.bat” and wait for TWRP to start. Disconnect your device from PC. If you’re installing TWRP without flashing new ROM. Confirm system partition modification if TWRP asks for it. In TWRP: Go to “Advanced” > “Disable Verify” (or install SuperSU 2.65, if your want to have root on your phone). After SuperSU installation, it’s recommend it to update it via Google Play. This will help you to get rid of ADB, PTP, MTP and USB hot-spot issues. Connect your device to PC or laptop and copy fresh TWRP version to phone MicroSD or internal memory. Disconnect your device. Boot into TWRP Custom Recovery, select “Install” > “Install Image” > select TWRP .img file > select “Recovery” partition > wait until installation process is completed. The process is similar to flashing TWRP. Simply rename the new downloaded TWPR Custom Recovery image to twrp.img and replace it in the adb/fastboot folder. It’s recommended to copy downloaded custom ROM version to MicroSD card. Allow system partition modifications if required by TWRP Custom Recovery. Go to “Wipe” > “Advanced Wipe” > Select all partitions, except MicroSD and OTG. In case you’ve stuck on Mi logo hold “Power” and “Volume Up” buttons, after short vibration, release the “Power” button and wait for TWRP to start. Download custom ROM for your device. Download Custom ROM for Redmi 4X here. 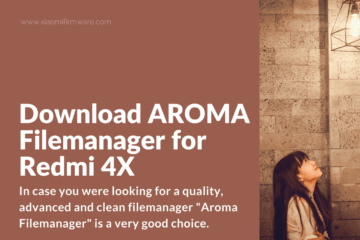 Connect your device to PC and copy downloaded ROM archive as well as SuperSU 2.65 archive to phone MicroSD or internal memory, if you want to have root on your phone. In TWRP menu tap on the “Install” button > select custom ROM you want to install, also add SuperSU .zip archive if you want to enable ROOT, select reboot into system after flashing. Wait until installation is finished. Don’t forget to update SuperSU via Google Play after installation. This will help you to get rid of ADB, PTP, MTP and USB hot-spot issues. Check out this post on how to enable root on Redmi 4X for more methods. Download and copy GApps archive into phone internal memory or MicroSD. Select “Install” > Select .zip archive with “GApps” > Reboot after install > Wait until installation is completed. 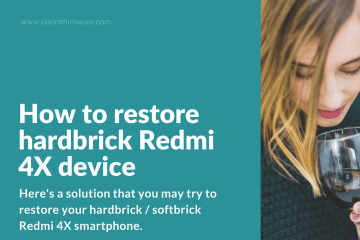 Just in case here you may find a tutorial on how you can unbrick Redmi 4X if something goes wrong. Also, pay attention, that author of this tutorial is not responsible for any of your actions with your phone! Make sure you’ve completely understand what you’re doing.